Due to its nature of a specialized institution, Bocconi doesn't appear in the rankings qualified as "overall" - i.e., QS, THE and Shanghai rankings - which involve Universities covering a wide spectrum of subjects and fields. Here we show the updated results of some of the most important and widely-recognized of these. More information concerning our standing in other specialized or sectorial rankings will be published in the sections about the individual programs. QS themselves mention Bocconi in the ranking’s presentation pages, explaining why Bocconi is not listed in the comprehensive ranking but only in the more specific “Social Sciences” subgroup. See the Getting Specific article. Note: "Employer Reputation" is one of the ranking’s indicators and gauges companies’ opinions about graduates from any individual university. The top one has a conventional score of 100. Bocconi is also present in many rankings by Financial Times. More precisely, SDA Bocconi School of Management (Bocconi’s Business School), is in the following rankings: MBA, Executive MBA (EMBA), Executive Education Custom Programs, Executive Education Open Programs and European Business Schools. 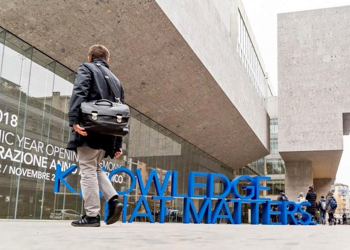 MSc courses offered by Bocconi’s Graduate School are listed in the Master in Management and Finance rankings. Here are the updated positions at European and worldwide levels. The recently launched U-Multirank project, like other rankings, aims to help choose a university but with a quite different approach from others. After setting the desired criteria, the user obtains a list of universities with the indication, for each chosen parameter, of each university’s performance compared to the group average. U-Multirank thus shifts the main focus from the simple position in a ranking to the mix of characteristics of a given university.